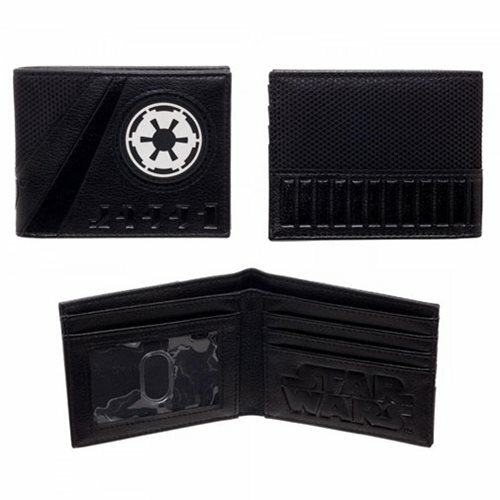 Side with the Empire and restore order to the galaxy with this Star Wars Empire Logo Bi-Fold Wallet. Featuring the logo of the Galactic Empire, it has an Empire themed design. This wallet comes with 3 horizontal card pockets, 2 vertical card pockets, a transparent ID window, and a full size currency compartment. Ages 14 and up.